[Game recap provided by Durham Bulls. ]Durham, NC - The Bulls rallied late for the third consecutive day to pick up their third straight win, downing Louisville 5-4 in 10 innings Wednesday night at Durham Bulls Athletic Park. Chris Richard brought home the tying run with a double in the eighth, and Jose Lobaton drew a bases loaded walk with two outs in the 10th as the Bulls win in walk-off fashion for the second time in three days. Right-hander Jeremy Hellickson struggled in his five innings of work, allowing single tallies in the first three frames. Gary Matthews Jr. tripled to start the game and scored on a groundout by Zack Cozart. A solo home run by Juan Francisco in the second made it a two run lead, and the Bats added another in the third on an RBI single by Wladimir Balentien. Hellickson tied a season high with nine hits allowed, giving up three earned runs in his 5.0 innings of work while striking out four. The Bulls cut the deficit to one with a pair of runs in the bottom of the third off Bats starter Ben Jukich. Fernando Perez walked and advanced to second on a wild pitch before coming home on an RBI double by Justin Ruggiano with two outs. Dan Johnson followed with an RBI single, bringing home Ruggiano and making the score 3-2. It would be Johnson doing the damage again in the fifth inning as the Bulls tied the score at three. With runners at the corners and two out, Johnson looped a single into shallow right field to score Jose Lobaton with the tying run. The Bulls cleanup hitter would finish the night 2-for-3 and his two RBIs add to his International League lead leading total of 65 on the season. A defensive miscue allowed the Bats to take the lead in the seventh. With runners on first and second with one out against Bulls righty Mike Ekstrom, the Bats tried a double steal to get both runners in scoring position. Catcher Jose Lobaton threw to second to try and catch Yonder Alonso, but the ball kicked off the glove of Joe Dillon at second allowing the go-ahead run to score on the error. It was the second error of the night for the Bulls, a rarity for a Durham club which ranked first in the league in errors coming into the game. 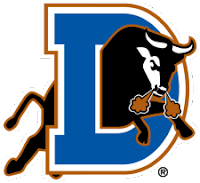 Durham evened the score in the eighth against Louisville reliever Enerio Del Rosario. Dioner Navarro reached on a one-out single and was replaced by pinch runner Omar Luna. Richard followed with a double deep into the left-center field gap, and Luna came all the way around from first to slide across with the tying run. Richard moved to third on a groundout, but a line drive by Lobaton with two outs was snagged by third baseman Juan Francisco to end the Bulls threat. Lobaton would atone for his bad luck in the in the 10th inning off Bats reliever Jared Burton, as the Bulls broke through against right-hander Jared Burton. Joe Dillon singled with one out and Omar Luna followed with a grounder to second. Pinch runner Desmond Jennings beat the throw to second and Richard followed with a walk to load the bases. Lobaton worked the count to 3-1 and took a high, inside fastball for ball four as Jennings came across with the winning run. Darin Downs picked up his second win in the last three games, working a perfect 10th inning while striking out two. The win improves the Bulls to 48-31 on the season, the best record in the International League. The two teams do battle again tomorrow, as LHP Carlos Hernandez (6-3 3.36) returns from the disabled list to square off against LHP Matt Maloney (6-4 3.60). Game time is set for 7:05 p.m.